Would you like to spend more time spraying and less time changing filters? If so, we have just the overspray arrestor you need! The Paint Pocket filters outperform fiberglass filters by up to five times. It’s a vastly superior product that lets you get the job done quickly, efficiently, and cleanly. So, what are the Paint Pocket advantages? It works on both liquids and powder coatings. It can capture particles as small as 2.5 microns and has a 99.84% efficiency rating at 10 microns. That means fewer particulates entering the environment. It knocks down and captures 6 pounds of overspray per square foot. The ‘pockets’ that give it its name also increase the surface area – by more than twice as much! That increased surface area is why it can hold so much more overspray than competing filters. More captured overspray equals less run-off, which means less mess and easier filter changes. All of that captured overspray is heavy! Don’t worry – Paint Pockets have the wet tensile strength to hold up under the load. 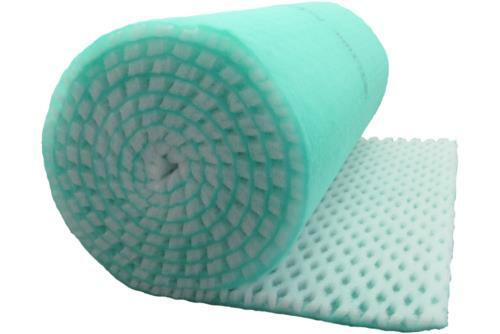 It’ll last up to three times as long as regular fiberglass filters. That’s an important advantage for high production spray booths. Fewer change-outs means less waste to dispose of and lower disposal costs. Less time on change-outs means more time working. And that translates into a better bottom line. Less overspray build-up on fan blades, exhaust stacks, and the floor means fewer expensive maintenance repairs. There’s that bottom line again! It’s user-friendly and easy to change. It allows you to manage your overspray in an efficient, cost-effective, responsible manner. Whether you’re dealing with adhesives, paints with medium to high solids, powder coatings, component coatings, or stains, Paint Pockets can fulfill all of your overspray management needs. Contact us for more details. Our friendly, knowledgeable staff will see to it that you get that replacement filter promptly!